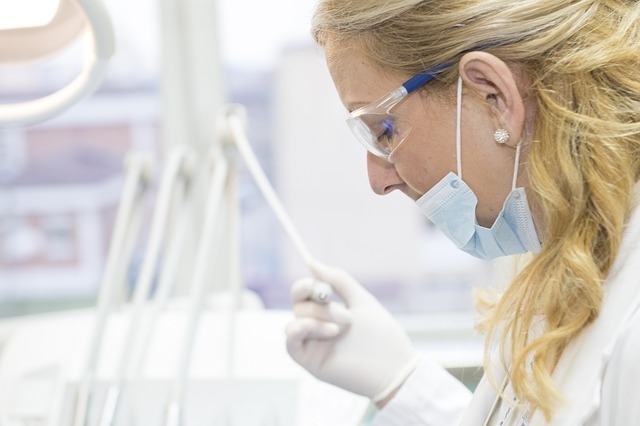 What are the benefits of visiting a dental hygienist? A visit to the dental hygienist may well seem like just another thing on your to-do list, but it’s actually a critical part of caring for your smile. Here’s all the dental hygienist benefits and information you need to know, courtesy of the Vitality team. The dental practice is a place you should visit regularly, rather than simply being the place you head when something breaks and you feel miserable- think of it rather like a mechanic for your teeth. Those regular car maintenance appointments do a lot to extend the health of your car, and ensure it runs better for longer without the need for emergency repairs. Your mouth isn’t any different, and your dental hygienist plays the role of the mechanic. Regular appointments help you head off dental problems before they start, as well as allow for deep cleaning procedures that keep your dental health in tip-top condition and the thought of fillings and other dental procedures a distant one. The dental hygienist is the person you will see for these appointments. All dental hygienists are licensed with the General Dental Council [GDC], and have years of their own professional training under their belt, so you are in confident and well-trained hands. What are the benefits of a dental hygienist? Applying antimicrobial and prophylactic treatments. Gum disease afflicts a vast range of people, yet remains one of those afflictions which ‘creep up’ on a person by surprise. The NHS suggests that over 50% of 35-year-olds suffer from gum issues of different severities! While gingivitis- the early stages of swollen gums- is, in fact, reversible, later gum disease is not. This makes it critical to nip gum issues in the bud- and your dental hygienist will be there to assist you with maintaining tip-top gum health. No one wants stinky breath! Yet the bacteria which are most responsible for persistent cases of halitosis, or bad breath, are often hiding under the gum line where even the most diligent of toothbrushes cannot reach. Your dental hygienist, however, has all the tools needed to help extract them, and cure your breath-related woes for good. You may believe that a beautiful, fresh smile is beyond you- but it isn’t. Your dental hygienist will not only perform scaling and a deep clean to help you make the most of the teeth you have, they will help advise you on how best to maintain your smile at home, examine you for tooth decay and tartar, show you how to brush correctly and advise you as to your future options if you are looking for any restorative or cosmetic dental work. Their eagle eyes also help asses any ongoing dental issues you may have, leaving them well able to brief the dentist and fast-track your needs. With advances in modern dentistry, patients are able to keep more of their own natural teeth for longer- even for a lifetime with the right care. Your dental hygienist is a critical part of helping you achieve that healthy goal. We bet you didn’t expect this one! However, regular visits with a dental hygienist can help you create a healthy, balanced mouth- and this, in turn, means fewer visits to the dentist for procedures like extractions and fillings, which carry recovery time and need a time investment to schedule. Regular visits with a dental hygienist also ensure that any worrisome signs of oral diseases are picked up and treated timeously, before any issues have time to advance. The dental hygienist plays an absolutely critical role in your ongoing oral care, helping you achieve your dental goals and care for your teeth between visits too. Why not book with Vitality’s skilled dental hygienist team today? Your teeth will thank you.